At 11:03AM GMT, three new astronauts launched from Kazakhstan aboard the Soyuz rocket en route to the International Space Station (ISS). British astronaut Commander Tim Peake is joined by NASA’s Tim Kopra and Russian cosmonaut Yuri Malenchenko. The outward journey into space took just 8 minutes and went without fault. 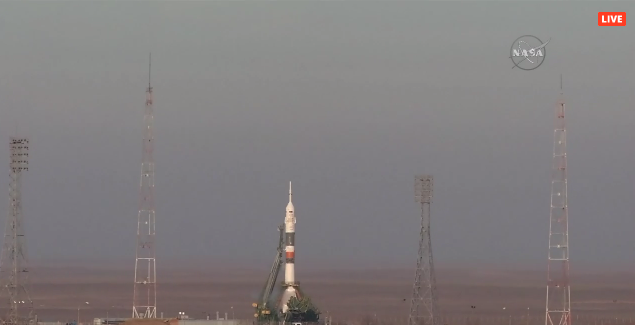 The team will now be in orbit for several hours before docking with the ISS at approximately 5PM GMT this evening. The trio will spend six months on the platform conducting experiments and research, and Peake is even planning to run the London Marathon while there. Peake is making history today as the first British astronaut in over two decades to board the ISS after six years of rigorous training. Meanwhile, NASA has released its clearest ever capture of the sunlit earth from space, courtesy of the DISCOVR satellite. DISCOVR takes complete photos of the earth every two hours, which is allowing scientists to observe and study different aspects of our home planet and could lead to a better tracking system for things like hurricanes and storms in the future.